Waste no more time and money organising all the elements you may need for your Gold Coast holiday. Our Gold Coast holiday packages offer you solutions for your entertainment to transport to catering needs. Our staff are also here to help plan any extra services you may require so you need not to stress. Here you’ll find a Gold Coast holiday package to suit your needs and budget. These packages include things like theme park passes, baby sitting, in house catering and more. They allow for both Mum and Dad and the kids to have the perfect holiday. 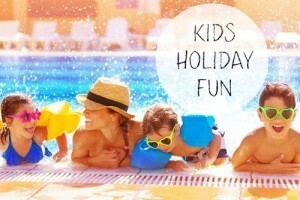 Keep the kids entertained and happy with the Kids Holiday Fun packages. From day passes to some of the best theme parks on the Gold Coast to entertainment options for time spent in your luxury holiday home, they’re a must book for your holiday. Impress and reward your team or build those important relationships with prospective clients on a Gold Coast corporate getaway. Most of our homes are located in very close proximity to the Convention Centre. We’d love to play a part in organising your Gold Coast holiday. We have delighted so many of our guests with our Gold Coast Holiday House Rental Packages and would be very pleased to have you and your group be the next. Those who have booked in the past feel truly taken care of and have a unique, enjoyable and stress free experience.